Wood waste shredding machine process wood sawmill waste produced in sawmill operations to high-quality chips. The construction of the feed system ensures perfect material supply, whether it is soft or hardwood, such as thin veneers, edgings slabs, off cuts, wood waste or logs irrespective of its length. A particularly stable welded steel construction allows the machine to be used in a continuous operation where it can operate in a uniform supply without the need for permanent attendance and with minimal maintenance. 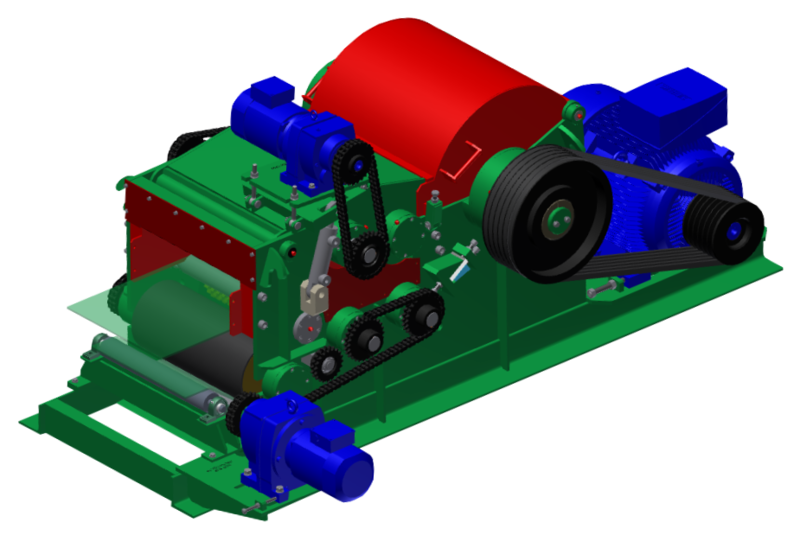 We produce belt, vibratory and chain conveyors to transport material to the wood waste shredding machine. Feed conveyors can be equipped with a metal detector which, when detect metal particles in the feed material, provides a signal to stop the conveyor belt and feed device.